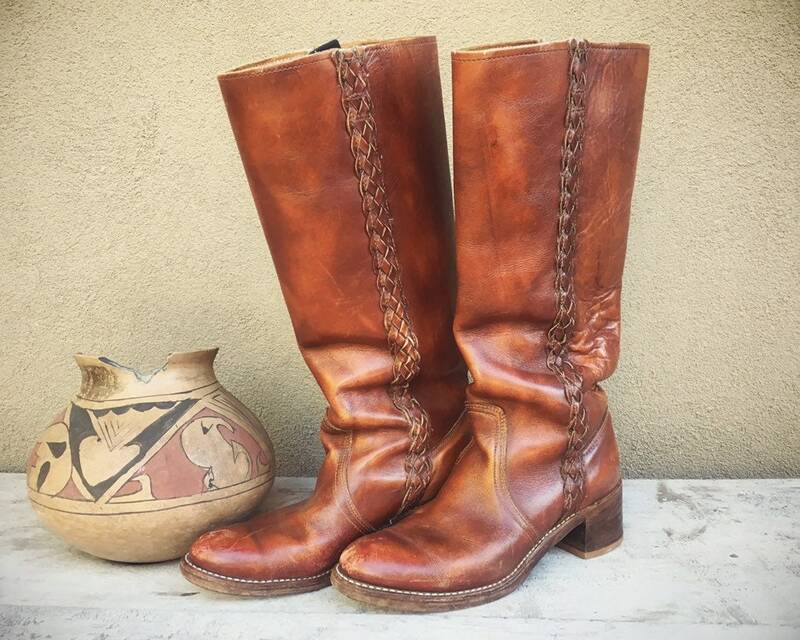 Here we have a pair of tall leather Acme campus boots for women in good condition and in warm brown leather color. Is a marked Size 9M although like many vintage boots definitely runs a bit small. 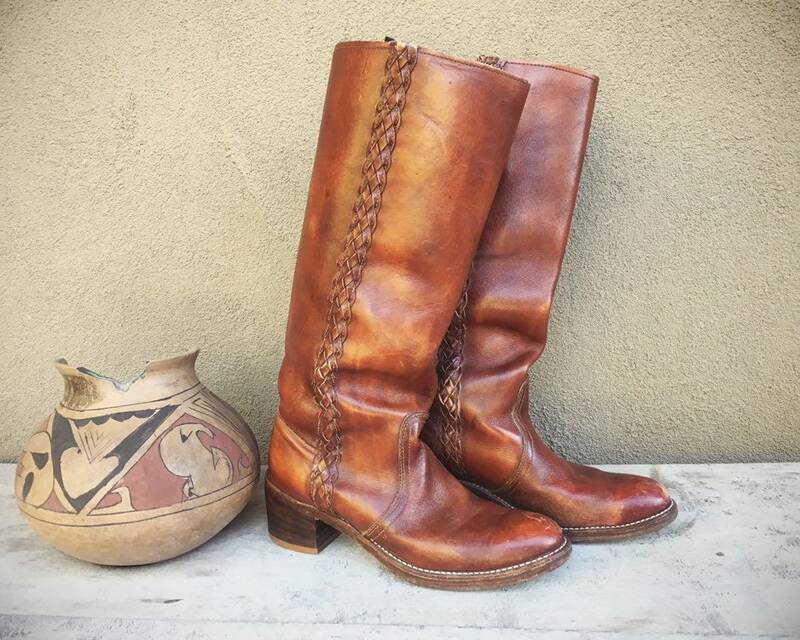 Braided embellishment up the sides and a rounded toe, in a style that was big in the late 1970s to early 1980s and still a popular look for today. 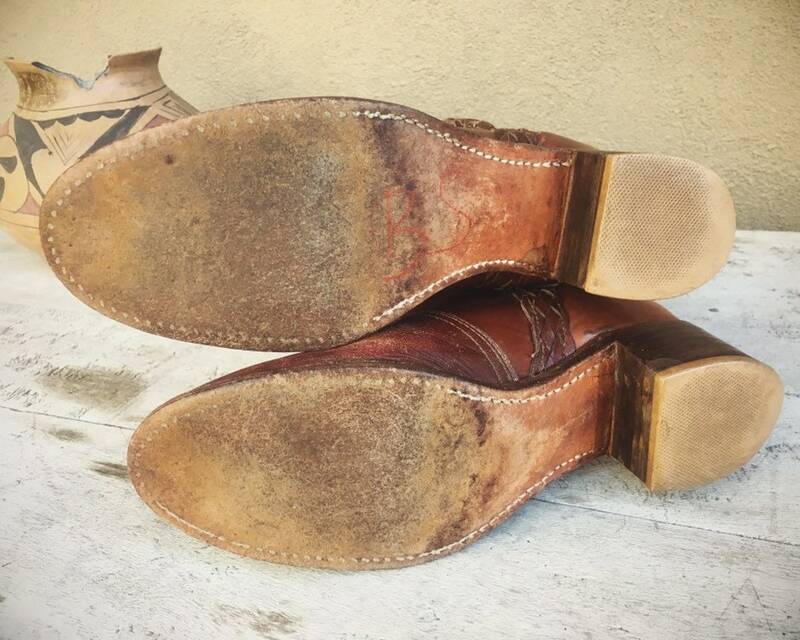 The leather soles are in good condition; the rubber heel cap is worn down a bit along back outside edge. 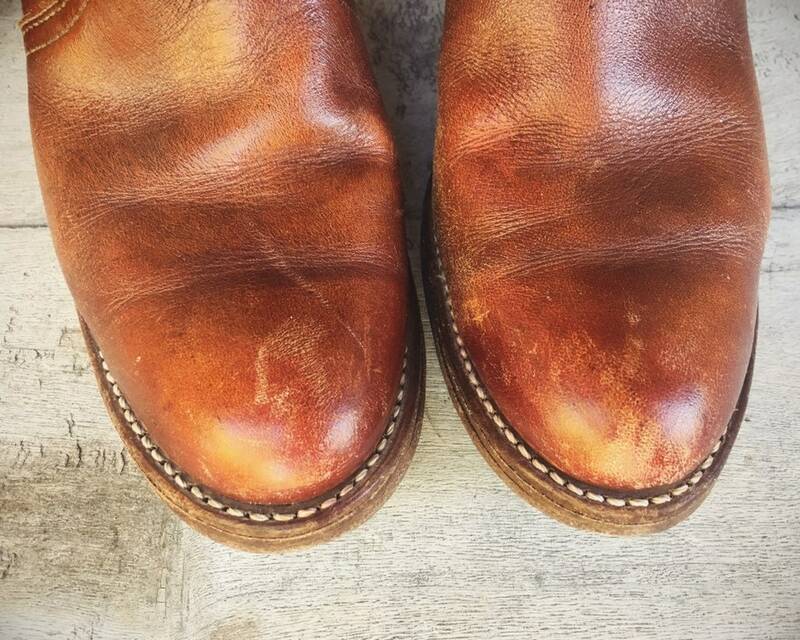 Some scuffing on heel and toe, yet the leather is overall in great condition. 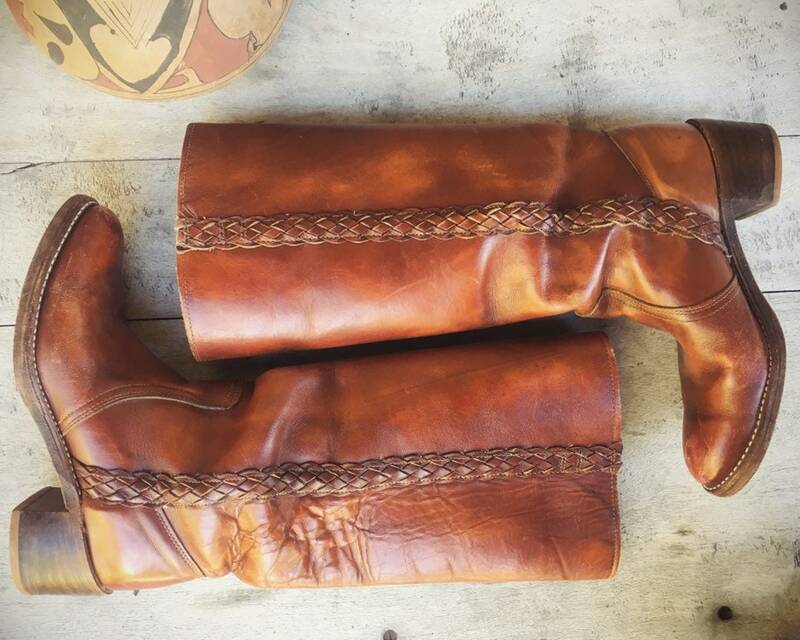 Interior pull tabs are bent yet still attached to the leather and ready to help you get these tall boots up your foot. 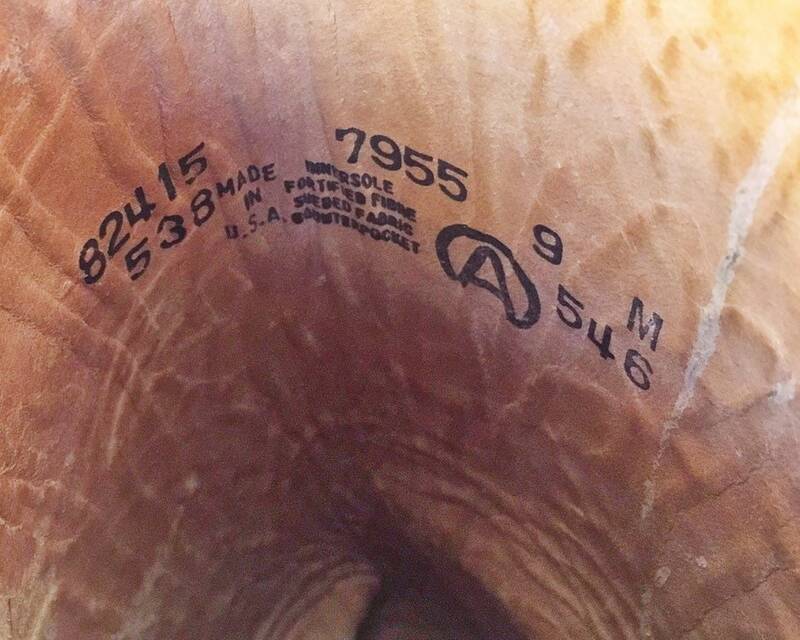 The best way to check size for an online boot is to compare the measurements below against a boot or shoe that fits you well. Gorgeous and with many more miles to them. 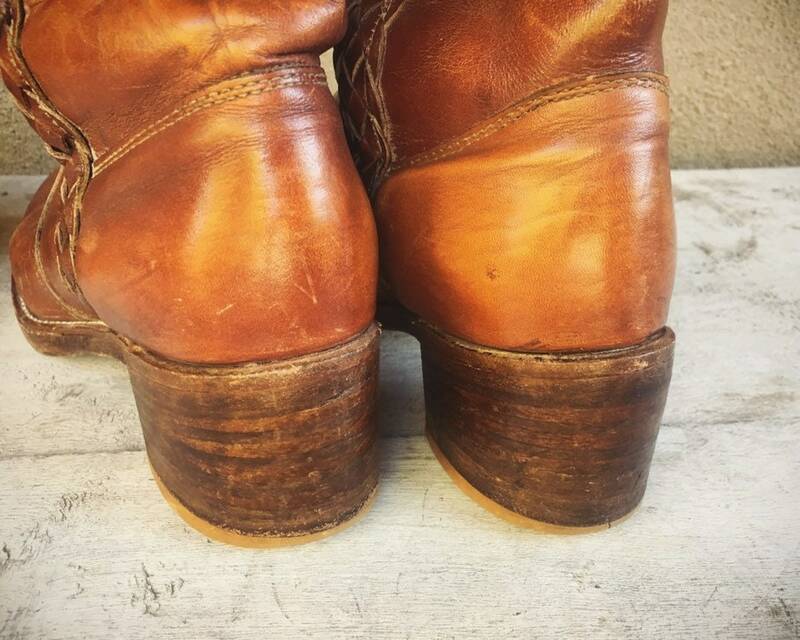 Sole, heel to toe: just under 11"
Sole, across ball of foot: just under 3-3/4"
Side seam, from the top of the heel (not ground) to the top of the leather strap: around 15"